Remember when the eminent scientist Jor-El warned the council of Krypton that the planet would explode, and sooner rather than later? And they didn't believe him, but it happened anyway? Pardon my glib intro, but you have to reach into the world of comic books to describe the kind of global catastrophic negligence the recently released U.N. climate report has now put on the record. While out of Krypton's misfortune the Earth at least gained a Superman, no such luck here in the non-comic book world. 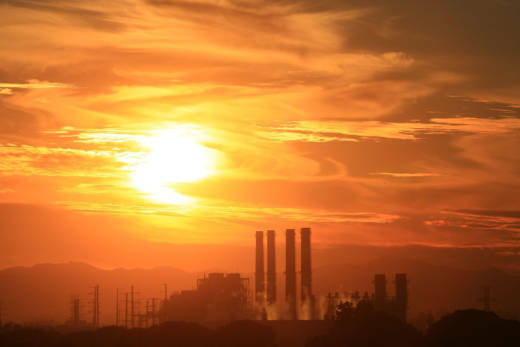 The U.N. report, produced by 91 scientists from 40 countries, analyzes more than 6,000 studies and concludes this: Unless the world radically changes the way it uses energy, its populations are going to be beset by climate-driven crises as early as 2040. The consequences include coastal flooding, food shortages, extreme heat, increased wildfire, and millions upon millions of climate refugees. In other words, like now but much, much worse. Barring the arrival of dramatic new carbon-sucking technologies, which are so far from scalability at present that they are best described as fantasies of industrial absolution, it will not be possible to keep warming below two degrees Celsius — the level the new report describes as a climate catastrophe. As a planet, we are coursing along a trajectory that brings us north of four degrees by the end of the century. The IPCC is right that two degrees marks a world of climate catastrophe. Four degrees is twice as bad as that. And that is where we are headed, at present — a climate hell twice as hellish as the one the IPCC says, rightly, we must avoid at all costs. But the real meaning of the report is not “climate change is much worse than you think,” because anyone who knows the state of the research will find nothing surprising in it. The real meaning is, “you now have permission to freak out. Don't get me wrong, I 100 percent believe in climate change. Yet, I'm willing to do absolutely nothing about it. I mean, we're all gonna lose the planet; we should be sad, right? This whole episode should be like a telethon or something, but it's not. I think it's because they keep telling us we're gonna lose everything, and nobody cares about everything. people only care about some things. Dickerson: I think the question is: Are sensible measures possible in the current American political climate on this particular question, where sensible is defined as the acts that you would take to ameliorate the effects of something that the president doesn't believe exists, or he believes that trying to combat will only hurt all of the constituencies he cares about. And we should also mention of course that the Koch brothers actively fund politicians who take positions that are opposite of any kind of collective action that would be taken to ameliorate this. President Donald Trump: And you don't know whether or not that would have happened with or without man. You don't know. President Donald Trump: --of years. They say that we had hurricanes that were far worse than what we just had with Michael. Lesley Stahl: Who says that? "They say"? Lesley Stahl: Yeah, but what about the scientists who say it's worse than ever? President Donald Trump: You'd have to show me the scientists because they have a very big political agenda, Lesley. Lesley Stahl: I can't bring them in. President Donald Trump: Look, scientists also have a political agenda. We can still do this. According to the new report, emissions from fossil fuels must be phased out by 2050, so there is still time to get this job done. But here’s the catch: None of the major technological transformations of the 19th and 20th centuries were the product of the private sector acting alone and responding only to the market. Railroads, radio, telegraph, telephone, electricity and the internet were all the result of public-private partnerships. None was delivered by the “invisible hand” of the marketplace. All involved significant interventions by the visible hand of government. Last week, the U.N. Intergovernmental Panel on Climate Change published a watershed report on climate change, warning that a bigger crisis could come sooner than we thought. Denial is part of the traditional mourning process, but we have collectively spent way too long there. It’s time to snap out of it.Given the sheer enormity of climate change, it makes sense to be depressed. It makes sense to bargain. It’s okay. But, please, don’t stay there too long. Join me in anger. Pure, unadulterated anger. Righteous anger.